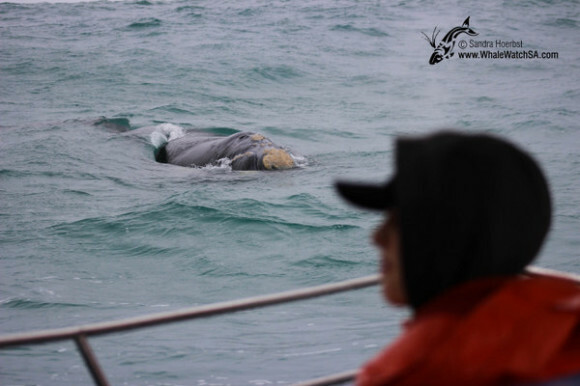 Due to bad weather for past five days we couldn’t launch our boat, but it was great to back on our vessel, the Whale Whisperer, today. 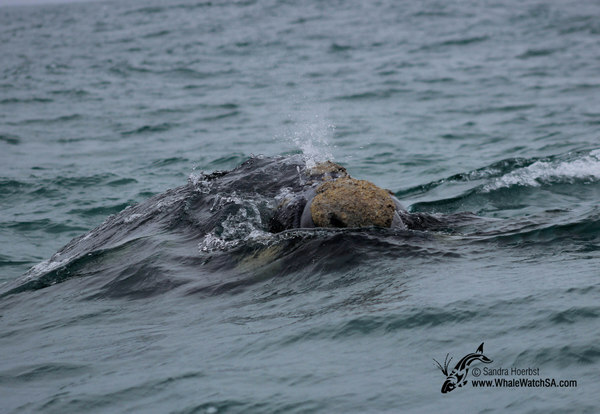 In the morning we spotted two Southern Right whales in Pearly Beach, one of them was slapping its flipper on the surface. The other one was a sub-adult which we got to see on our last trip again. 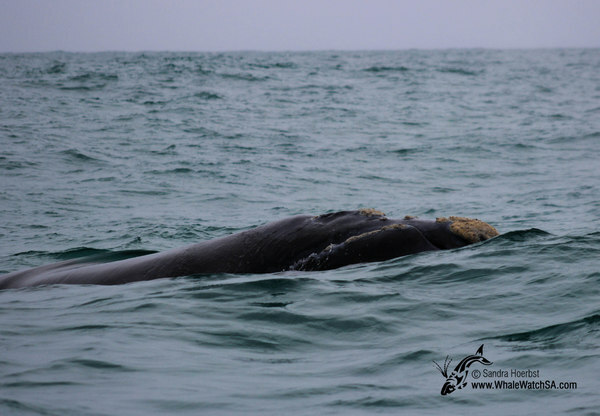 The sub-adult whale was named Jeffery by a little lady who joined us on the tour today. He was quite curios and approached our vessel several times. 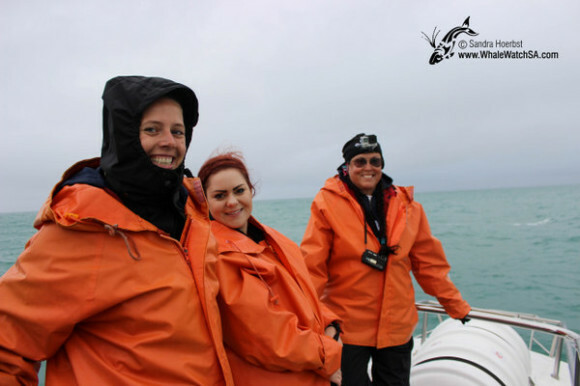 On our way back to the harbour we passed Geyser Rock and watched the Cape Fur seals for a while.